Ukraine is criticized for adopting the law before consultations with the Venice Commission. 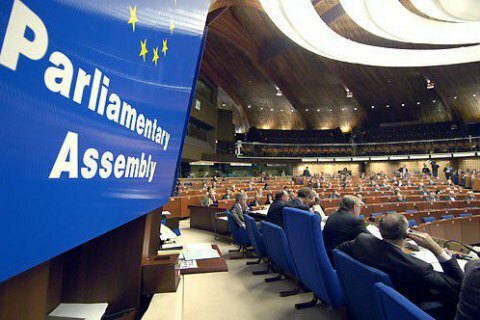 The Parliamentary Assembly of the Council of Europe on Thursday, 12 October, held a debate on Ukrainian law on education and adopted a resolution with recommendations to Ukraine on the protection of the rights of national minorities. The resolution, passed by 82 votes with 17 abstained and 11 against, says that PACE is concerned by new education law in Ukraine. PACE delegates drew attention to the fact of protests in some neighbouring countries claiming that the law infringes the rights of national minorities and gives rise to sensitive legal questions regarding compliance with the Ukrainian legal system. The Assembly notes that Ukraine sent the text of the law to the Council of Europe Commission for Democracy through Law (Venice Commission). However, "the Assembly expresses its dissatisfaction that this step was taken after the adoption of the educational law." PACE stressed the three principles which should be a guide to stakeholders: knowledge of the state language, the preservation of the collective identity of minorities, and non-discrimination. PACE members say that in view of these three principles, the new Ukrainian law on education fails to strike a due balance between official languages and languages of national minorities. " In particular, the new law entails a heavy reduction in the rights previously recognized to 'national minorities' concerning their own language of education," the PACE resolution says. "For this reason, the Assembly recommends that the Ukrainian authorities reconsider the issue of minority languages in education, "having as a reference a flexible model of bilingual education for all persons belonging to 'indigenous nations of Ukraine' and 'national minorities', with no discrimination," the resolution stresses.